From August 19-21, 2016, professional sand carvers will create larger-than-life sand sculptures, there will be an amateur competition and kids will be encouraged to try their hand at sandcarving in a giant sand box. This summer, the Grand Rapids Downtown Market brings the beach to you! Friday through Sunday, August 19-21, 2016, the Downtown Market hosts Sand Rapids, their first ever Summer Sand Festival. The free three-day event is open to all, and takes place outside in the Market Shed. Over the course of the weekend, professional sand carvers will create larger-than-life sand sculptures for the public, who can watch the whole process take shape in front of their eyes. Sand Carver Greg Butauski, owner of Rock on Ice, said his team will bring in about 30 tons of sand for the weekend. 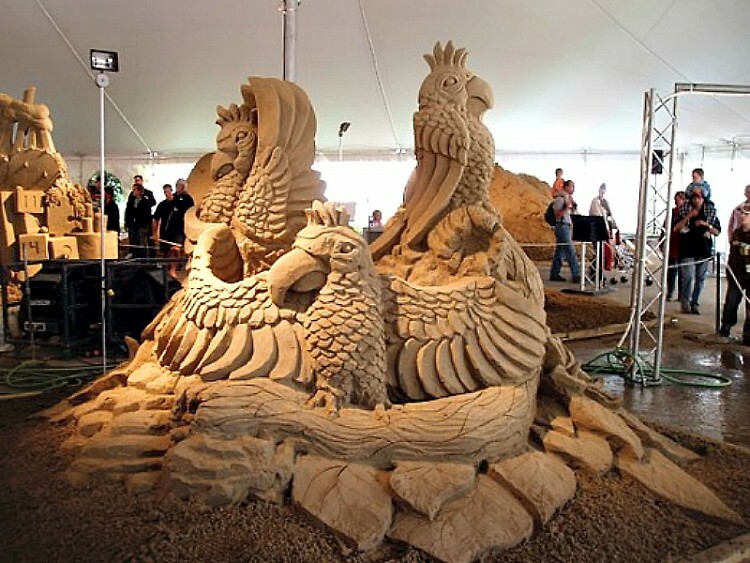 At least three sand carvers, or artists, will create the sculptures and help judge the amateur competition, which takes place on Friday, August 19. The amateur competition will start with four pre-packed sculptures, each one 4’x4’x4’. Carvers will come from local organizations that sponsored the event or from Downtown Market community partner organizations. The professional carvers will judge that portion of the competition, and award a trophy to the winning team. 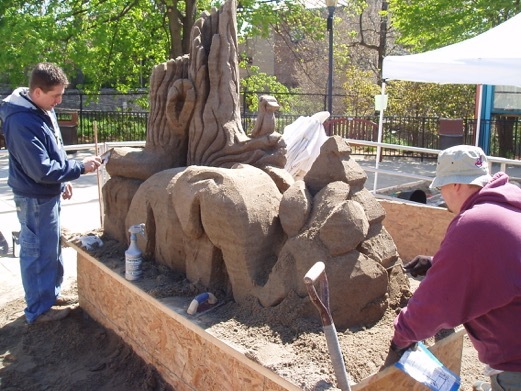 To get the little ones involved, a giant sand box will also be on site to give kids a place to play and create their own sculpture art with shovels, buckets and other tools to help them become master sand artists. For bigger kids, various yard games will be set up around the Market Shed. 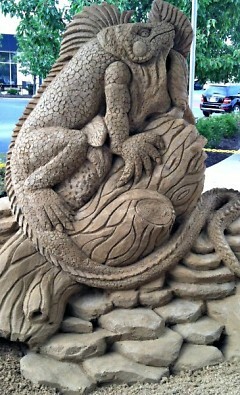 Butauski has been carving sand (and ice!) for 25 years. He started ice carving in college as part of his school’s culinary program, and started his business right out of college with two friends. Based in the Midwest, he’s traveled the world to carve ice and sand sculptures, including Japan, Germany, Jamaica and the Bahamas. For the Sand Rapids event, Butauski said his team will be creating sculpture designs geared towards the artists’ strengths as well as the themes of the Downtown Market. For those who can’t make it to the Market next weekend, he said the sculptures won’t be removed right away. For more information on the event, visit: http://downtownmarketgr.com/classes-events/sand-rapids.